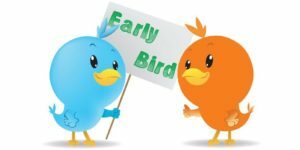 Our Early Bird Club is organised by Mrs Anderson, who is a Higher Level Teaching Assistant and also qualified Emotional Support Assistant. Your child has a choice of fruit, cereal, yoghurt and toast for breakfast. After breakfast, they have the opportunity to practise their ‘Mathletics’ skills on our laptops, participate in create and craft activities or play games that develop their communication and socialising skills. Children who arrive after 8.15am are unable to access breakfast but can attend the Early Bird Club. We fund breakfast club for children who have a parent/s serving in the British Armed Forces (Currently serving or a parent that has left within the last six years).